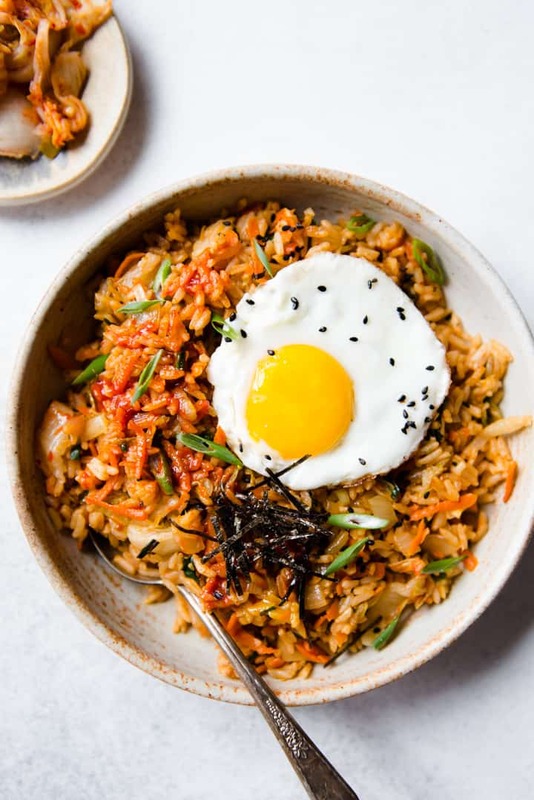 This kimchi fried rice recipe is the perfect weeknight meal—easy to make and ready in just 20 minutes. Top it with fried eggs for something extra! The flavors of kimchi can be quite intense if you’ve never tried it before. Stir frying kimchi with a bunch of rice and soy sauce is a great way to introduce kimchi to your taste buds. If you are looking to buy kimchi at the supermarket, try Sinto Gourmet‘s kimchi. It is one of my favorite brands so far, and it’s organic! The only downside is that their distribution is mostly in Northern California right now. If you want to make your own kimchi, you can try my small batch vegan kimchi recipe! 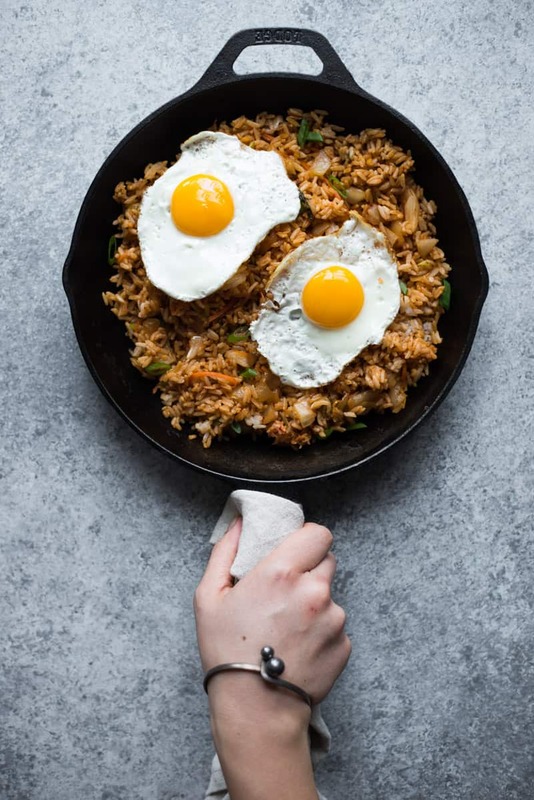 Using day-old rice: Traditionally, fried rice was a dish that people cooked to repurpose uneaten rice from the night before. That’s why most fried rice recipes call for day-old rice. 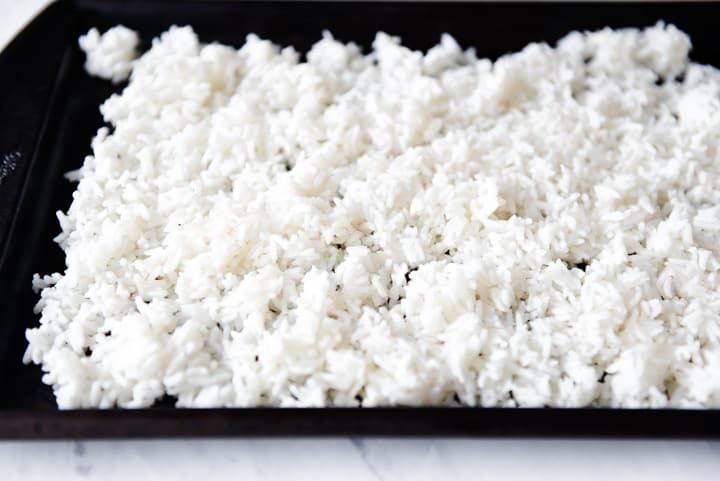 If you don’t have leftover rice on hand, cook a batch of rice and spread it over plates or a large baking sheet to cool. Let the rice dry out for an hour or two. Freshly cooked rice has too much moisture, so it’s not ideal for fried rice. Fried eggs: If you don’t like eating eggs sunny side up, scramble the eggs in a separate pan. Then, mix the scrambled eggs with the fried rice. Kimchi juice: For extra flavor, you can also add 1 or 2 tablespoons of the juice that comes with your kimchi. Substitutions: Gochujang, a red fermented soybean and chili paste, compliments the kimchi fried rice very well. This is the brand that I used for the recipe. You can also find gochujang in rectangular (usually red) plastic boxes. Gochujang lasts for a while, as long as you keep it refrigerated. 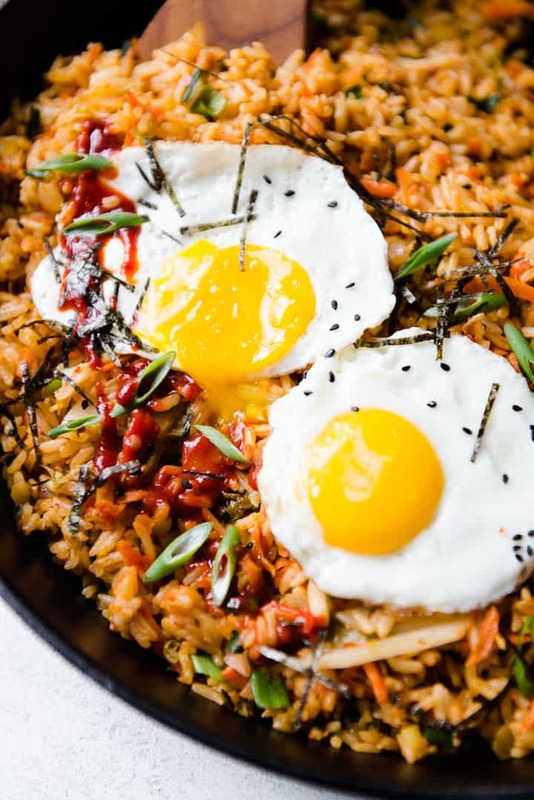 If you can’t find any gochujang, sprinkle red pepper flakes into the fried rice for spice. 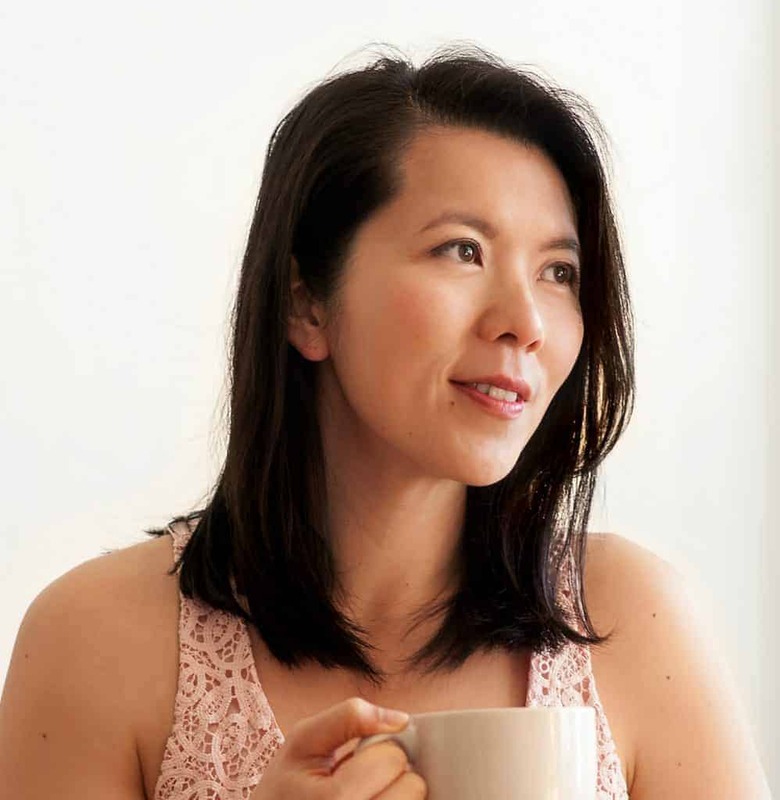 Kimchi: If you are interested in making your own kimchi, try my kimchi recipe! 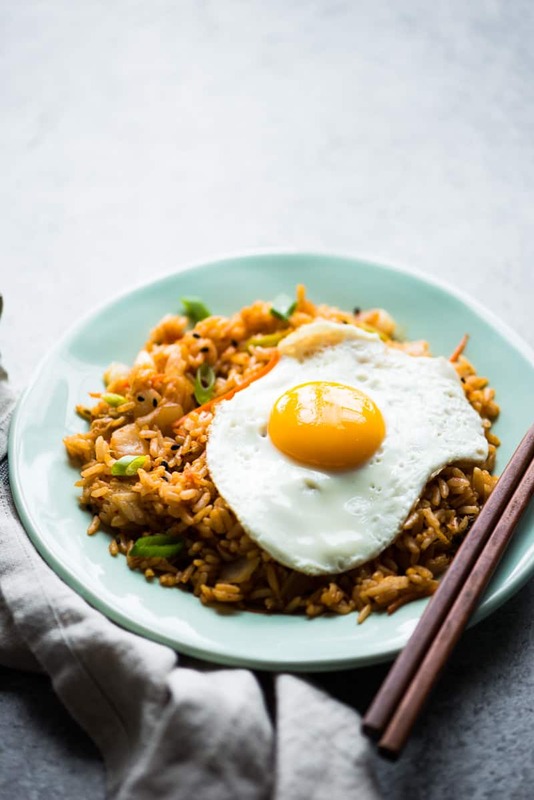 Kimchee Fried Rice is my ultimate comfort food – interesting to see you put fresh ginger in yours! Yea, the ginger adds a lovely, zingy brightness to the rice! 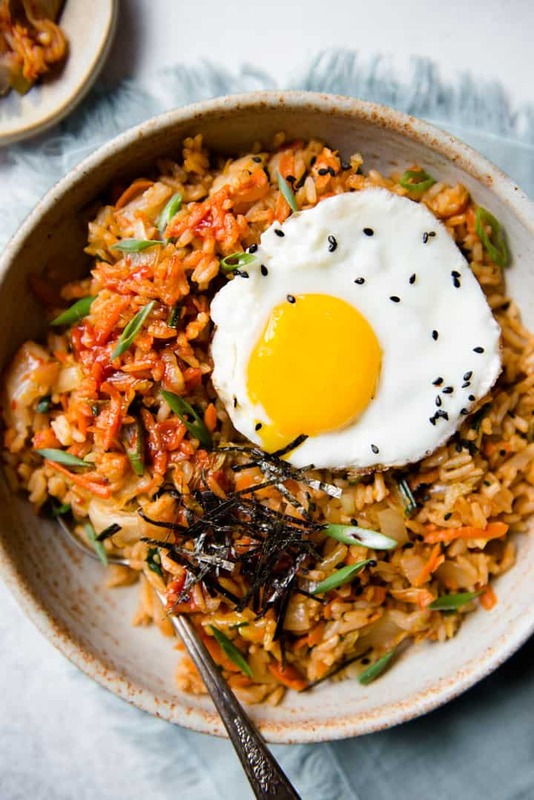 I LOVE kimchi and I LOVE fried rice, so this is the perfect dish for me!! I need to try it!! LOVE this. We make it often when my 10 yo requests it. I even learned how to make homemade kimchi! 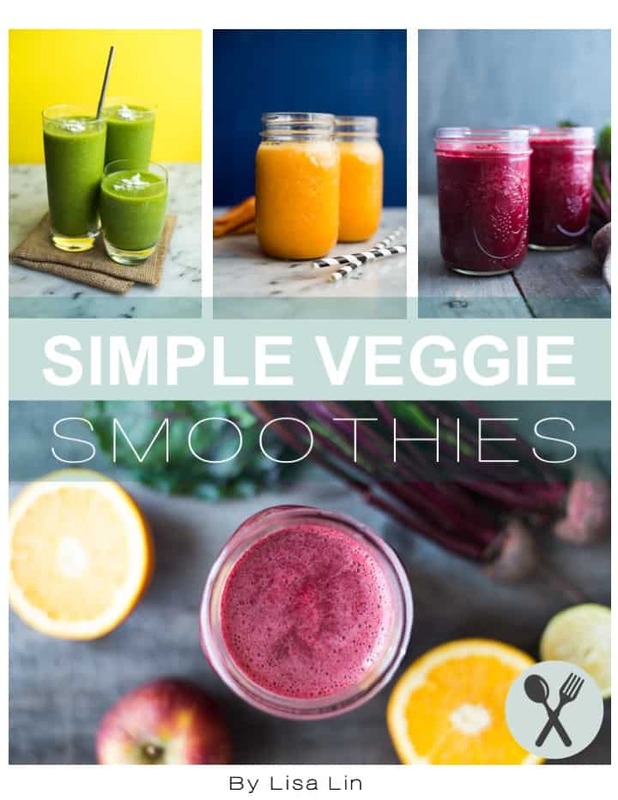 Oh my gosh, that is awesome! I still need to try making it at home, but I swear I will start playing with it next month! I love Kimchi fried rice 🙂 ill save so much money on lunches each week by making it at home! 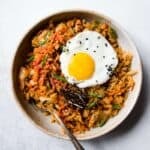 Your KIMCHI FRIED RICE looks delicious and easy. I think that my kids would loved this for sure. Thanks for this!